JOHN OLIVER SIMON died early on January 16, 2018 at the home of his fiancée Susie Kepner after several years struggling with cancer. He was 75, father of two daughters, Kia Simon and Lorelei Bosserman, grandfather of Tesla Rose Moyer, to whom he wrote many proud, adoring poems, and former husband to Pam Simon Hazel, Alta, and Jan Courtright Simon. Poet and an important translator of Spanish poetry, John was a contributing editor to Poetry Flash (and contributor to American Poetry Review) who for decades wrote deeply informed essays on the politics and poetry of Mexico and South America, gleaned from his yearly travels south of the border. He was also an old dear personal friend of Joyce Jenkins, Poetry Flash editor, and Richard Silberg, associate editor. Richard Silberg and John Simon first met on Telegraph Avenue in 1966. John was a martial arts student, brown belt in karate, selling his poetry books out of a knapsack; they came to know each other more deeply through their years of association in Bay Area poetry. Perhaps their deepest bond came through the many three-way meetings they had with the late poet Jim Schevill and his wife Margot every few months at their house on Oxford Street, both before and after Jim’s stroke, sharing poems and gossip. 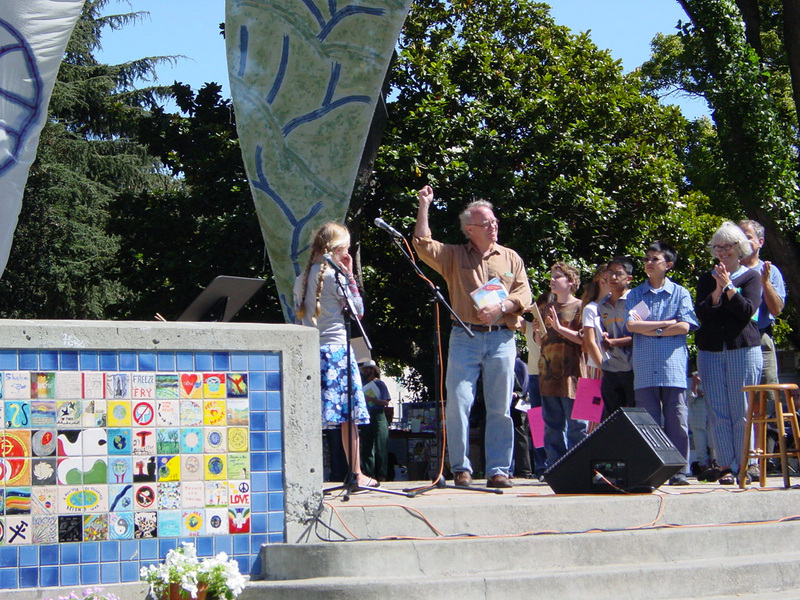 Joyce worked with him on grants to support poetry in Berkeley elementary schools. He worked with her as a member of the Northern California Book Reviewers, providing pithy comment on the Poetry and Translation committees to select the Northern California Book Awards nominees and winners. His friends and colleagues sparred with him and respected him. 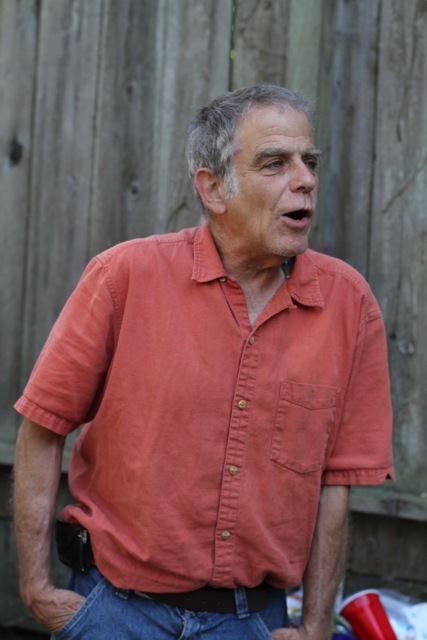 Recently, when he heard of Poetry Flash’s forthcoming anthology of Berkeley poetry, he immediately came over waving the issue of Aldebaran Review, “City of Buds & Flowers,” that he edited in the sixties, his definitive response to the question of poems on Berkeley. The journal included work by Alta, Bruce Boston, Andy Clausen, Luis Garcia, Allen Ginsberg, Susan Griffin, Jana Harris, Tobey Kaplan, Josephine Miles, Dale Pendell, Stan Rice, Gary Snyder, Alan Soldofsky, Jack Spicer, Al Young, and many more. 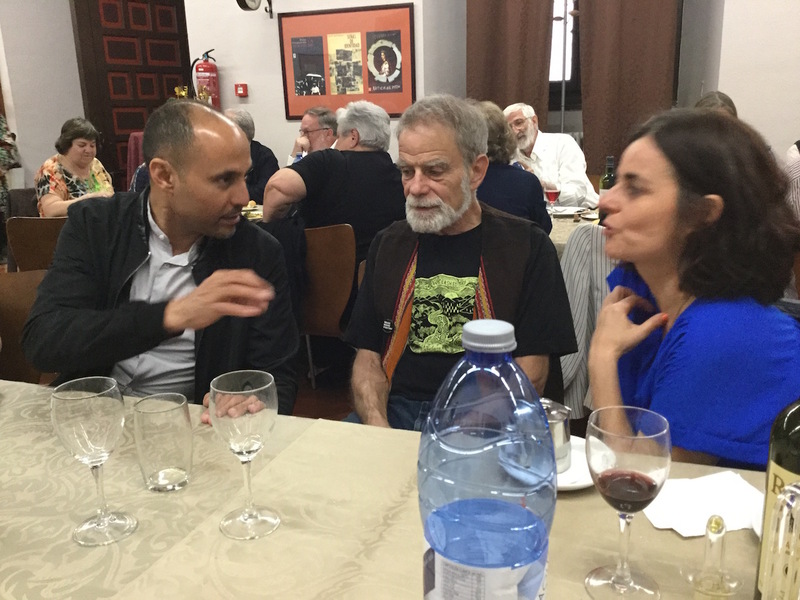 John’s poetry, writing, translations, and clear opinions will surface in Poetry Flash again and again in the future. He wrote gorgeous poetry at the end of his life. Born in New York City in 1942, John Simon went to The Putney School, graduated Phi Beta Kappa from Swarthmore, and went to UC Berkeley. Berkeley became his home. He tangled in the Free Speech Movement on campus in 1964 and the later imbroglio on Telegraph Ave over People’s Park. 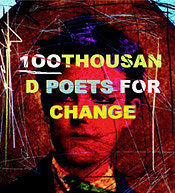 And he was part of a 1960s poetry scene in Berkeley with Charlie Potts and other poets that he wrote a vivid essay about for Poetry Flash. 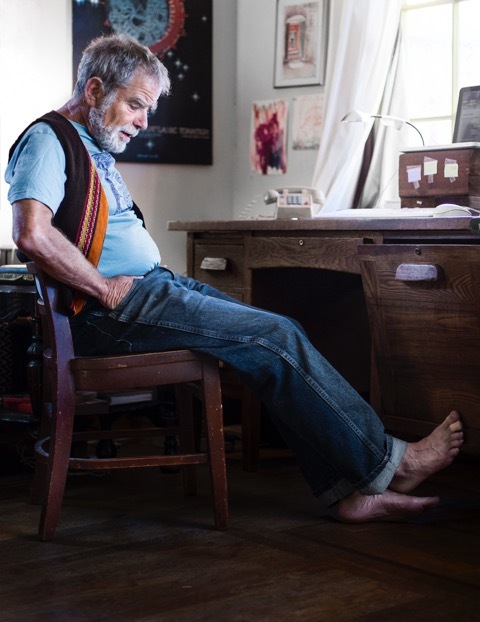 He considered John C. Adler, Jeffrey Campbell, Daniel Hoffman, Gary Snyder, Lew Welch, and Carol Lee Sanchez his mentors. John had a full and varied career. Among his full-length, published books of poems are Roads to Dawn Lake (Oyez Press, 1968), Neither of Us Can Break the Other’s Hold (Shameless Hussy Press, 1974), Rattlesnake Grass (Hanging Loose Press, 1978), Lord of the House of Dawn (Bombshelter Press, 1991), Caminante (Creative Arts Book Company, 2002), about which Gary Snyder says, “This is a major poem, gritty and elegant, hard-earned, oriented by stars and late night conversations on the long road. John O., like an old time Chinese poet, weaves through history, politics, poverty, geography, poetry, spirit, friendship, love, learning, style, and deep mind; while traveling a continent.” And finally there’s Grandpa’s Syllables (White Violet Press, 2015) about his beloved Tesla, that he wrote in a form, that one had the impression he invented but which at any rate seized him—eleven-line ‘sonnets’, eleven syllables to the line—and in which he wrote some powerful, fearsome poems about his own cancer that he read at a Poetry Flash benefit a few years ago. Amos White of Bay Area Generations says that John stole his eleven-syllable line from Octavio Paz. He was a devoted teacher of children. He taught at the People’s Community School that he co-founded, 1969 to 1973. He was a board member and former president of California Poets in the Schools, working with CPITS, now called CalPoets, since 1971. At one point he was artistic director of Poetry Inside Out, a program of the Center for the Art of Translation. In 2013, he was named River of Words Teacher of the Year—by former US Poet Laureate Robert Hass—for the River of Words Youth Art and Poetry program. For years John has shepherded his young students and shown them off in the children’s poetry segment of the Poetry Flash’s annual Watershed Environmental Poetry Festival. And Berkeley’s poured some love back John’s way. January 20, 2015, the city proclaimed “John Oliver Simon Day,” and in 2016, the Berkeley Poetry Festival gave him its Lifetime Achievement Award. His work was featured in the Addison Street Poetry Walk in downtown Berkeley. He was a loving, pugnacious, spiky, generous man, and he will be deeply missed. He already is. on this block I don’t care if I see again. to lunch at a Vietnamese place on Webster. and escaping into so much empty light.